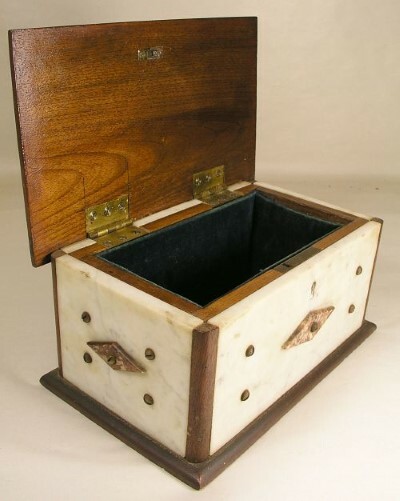 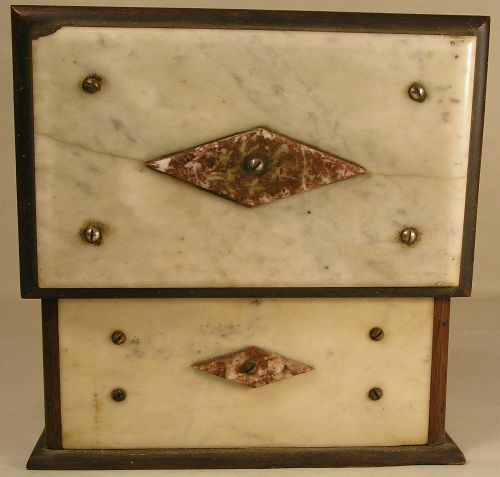 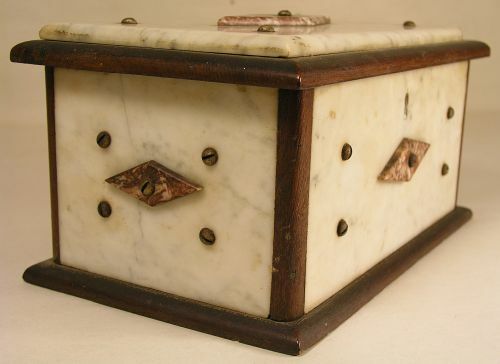 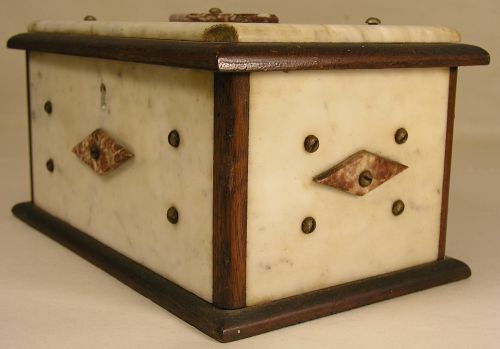 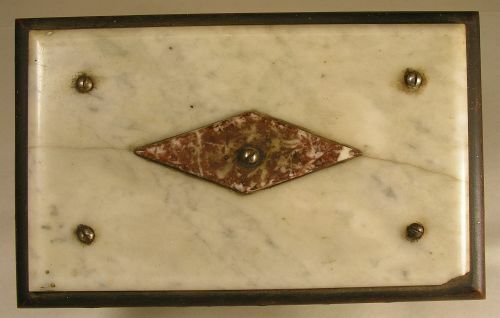 Early walnut trinket or jewlrey box with Vermont marble inset on all sides plus different color marble diamond cutouts applied to all sides. 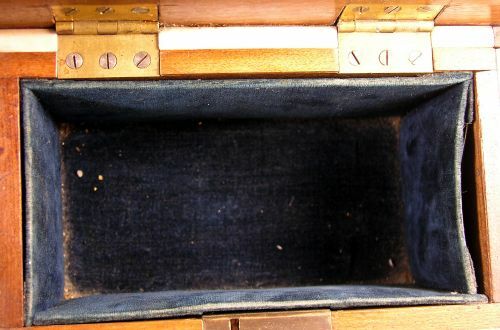 Original lock intact along with deep blue velvet lined interior. 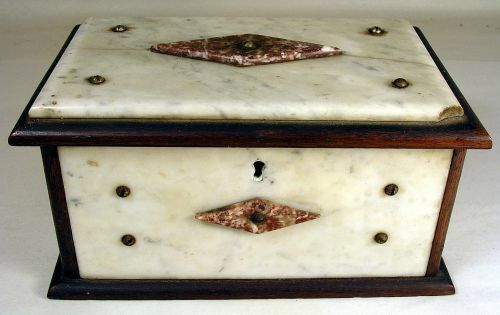 Top has a small chip on one corner along with a tight crack that might disappear with a cleaning. 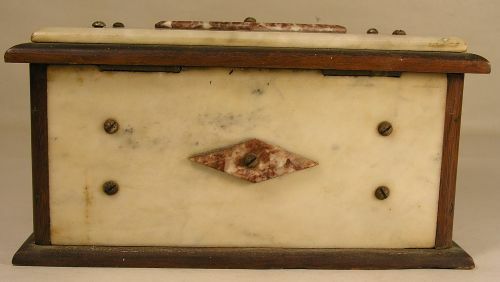 Dimensions: Measures 9" across X 5.5" deep X 4.75" tall.